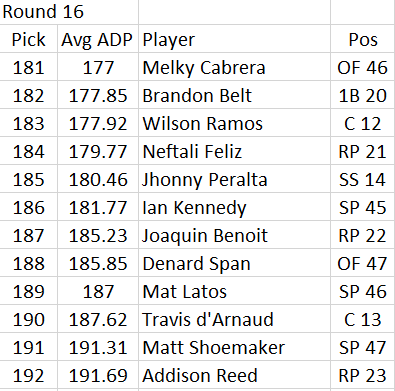 Draft season is approaching and it seems that we still overthink how to handle catchers. 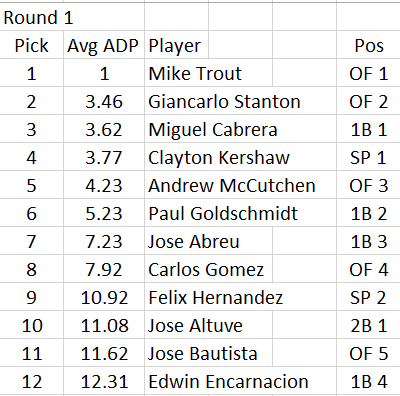 While the production from the position and their ADP’s seem to be coming closer together, there are still owners out there who think that acquiring a top catcher is of the utmost importance. 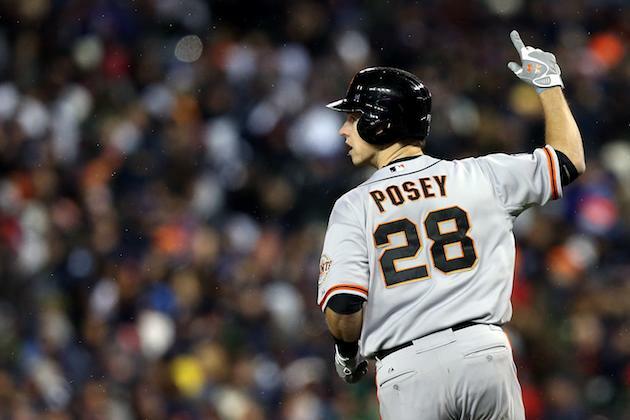 In that, a player like Buster Posey gets drafted too soon. 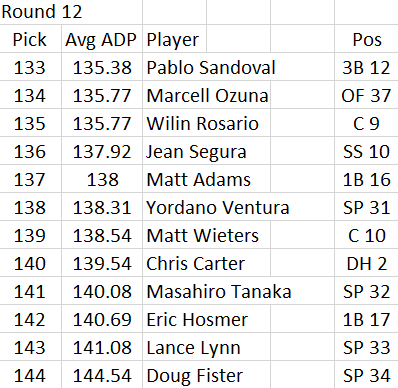 He was the only catcher to crack the top 50 via ESPN’s Player Rater (he finished 49th). 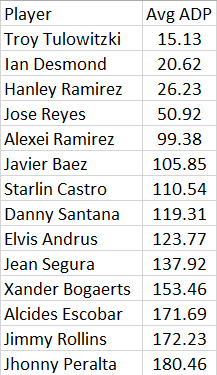 He and Jonathan Lucroy were the only two to finish in the top 100 (Lucroy broke out, finishing at 97). 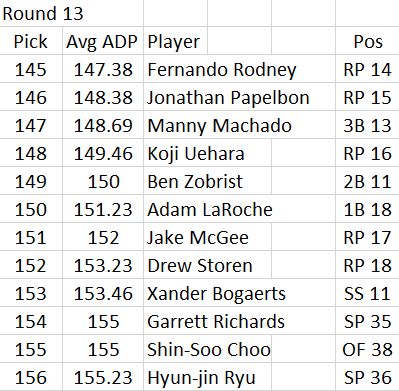 Even in two-catcher leagues, I think you can get by owning a top-12 option at the position and waiting until later on in your draft to gamble on a flier type. Devin Mesoraco circa 2014 comes to mind on the flier front. 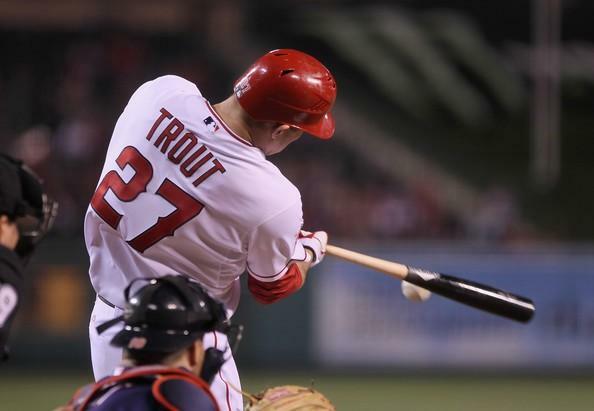 Due to the declining power numbers in baseball, designated hitters are in transition as well. 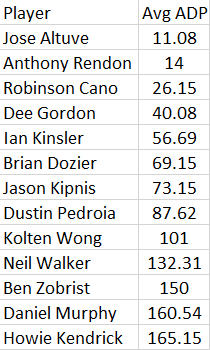 The top player at the position will be 39 this year and though there seems to be a player who can match Ortiz’s thump, Chris Carter’s batting average leaves something to be desired. 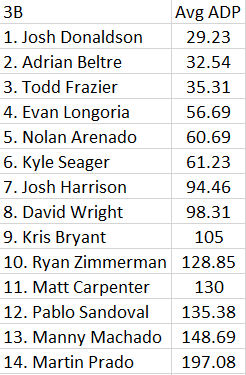 30-homers out of a single player will be rare in 2015, making Carter more valuable than he would have been otherwise. 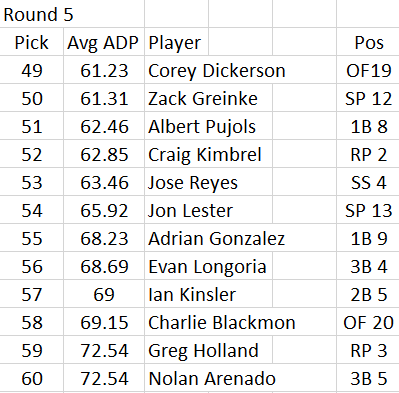 Whether it is the new age of pitching dominance or the emergence of shifts and specialty pitchers, run production will be in demand in fantasy next season. 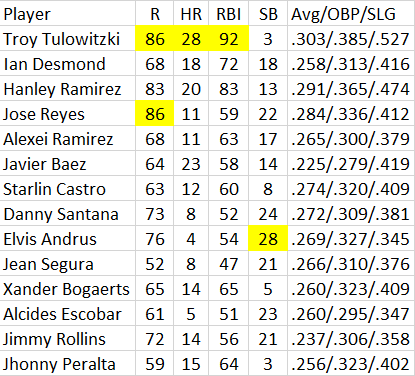 Power is such a scarce commodity that batting averages will likely be ignored if a player can produce 30 home runs. 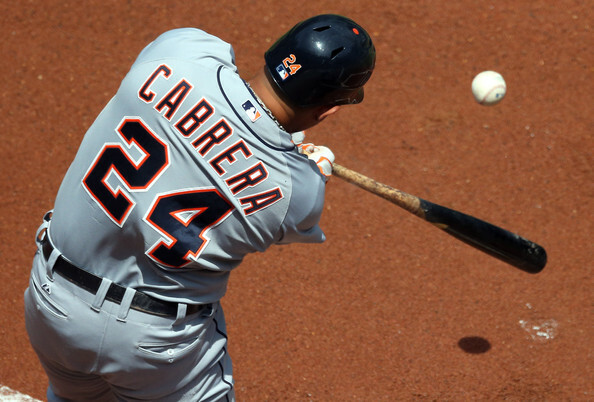 The stigma about a player that hits below .240 and launches 30 bombs is all but gone. 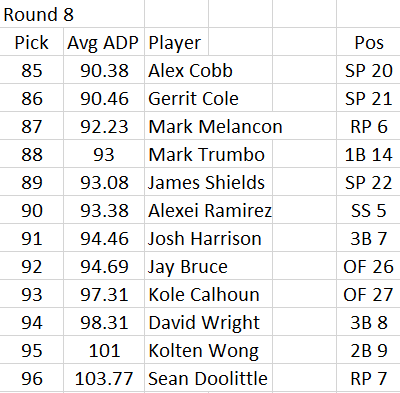 So how do we treat the players and rankings for these positions going forward? 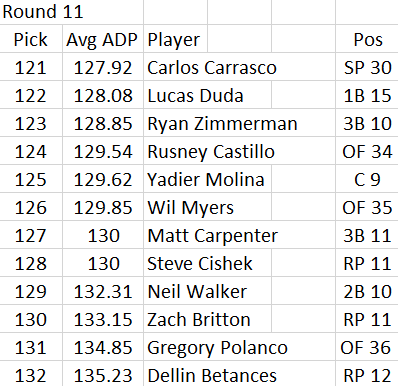 I gave my thoughts above about catcher, I try to target a solid top 10-12 catcher and get him at a fair market price whether in auctions or drafts then target a bounce back candidate or younger catcher who could break out later on. If the gamble does not work, there is bound to be someone on the waiver wire I can move on to. If any position in fantasy baseball is related to the kicker in fantasy football, it’s the catcher. Find one with a good chance to get at bats on a solid team and you’re golden. 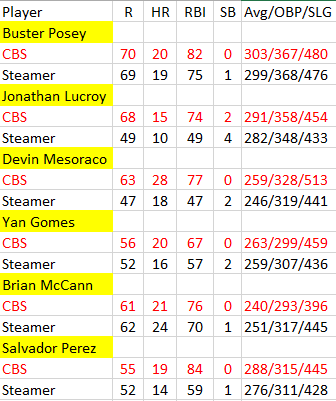 These are your Yan Gomes, Salvador Perez, and Russell Martin types. 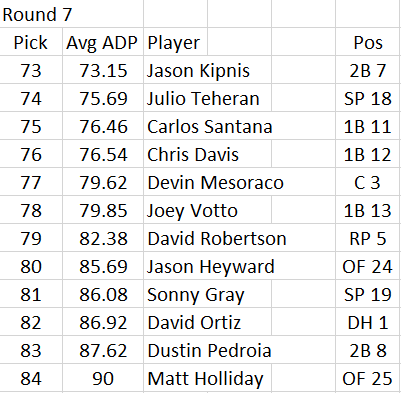 After that, take a flier or get two of the types above and gamble on upside later in the draft. 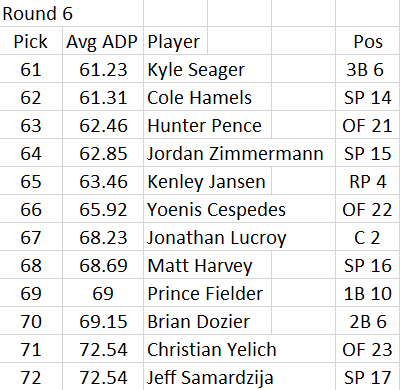 But to spend a second round pick on a Buster Posey, as good of a real baseball player as he is, just does not make much sense to me. 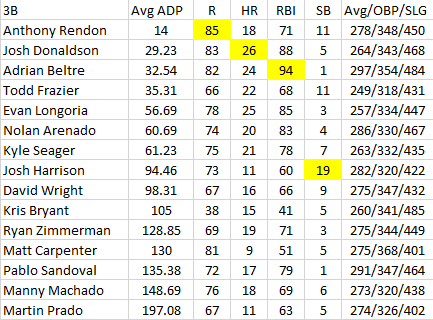 Two players catch my attention on the chart above; Evan Gattis and Travis d’Arnaud. One is limited by his defense and the other has durability questions. Rumor has it that Gattis will open 2015 as Atlanta’s left fielder now that Justin Upton has been traded to San Diego. This means good things for his value since he will not wear down physically due to the rigors of catching. This should allow him to get 500 at bats. That would be huge since he has hit 43 home runs in 723 career at bats in the majors. If he hits the magic 500 number, that would pace him for 29.74 homers if he maintains his career rates. 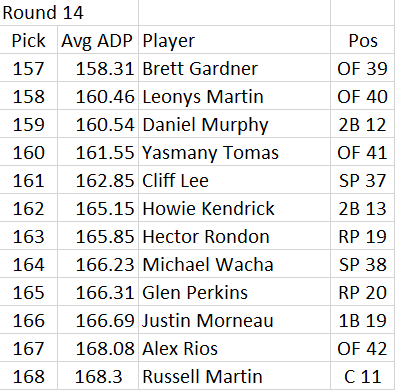 30-homer potential out of my catcher slot is something I will definitely be exploring at pick 125. Travis d’Arnaud also has the ability to be a stealth starting catcher for fantasy owners in 2015, but he has to stay on the field. In the second half of 2014, d’Arnaud slashed .265/.313/.474 while hitting 7 home runs and showed us why he was a top catching prospect. He did appear in 108 games last year and had some bone chips removed in October, so if he is healthy and can stay healthy, then he represents a bargain in 2015. 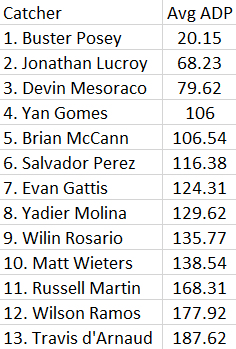 Speaking of health, Yadier Molina is not even being drafted in the NFBC top 200 so if you like a low double-digit home run hitting catcher that will actually help your batting average then he is your guy. 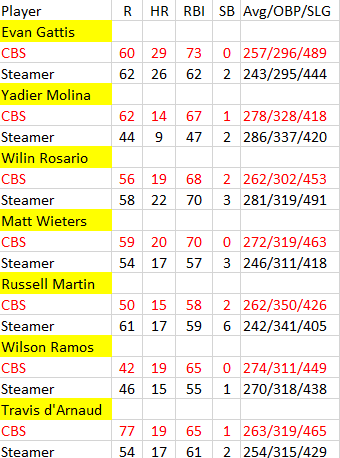 If a team has loaded up on power hitting early, then Molina is a perfect target to balance a team. Another player I like with spotty health issues but burgeoning power is Wilson Ramos. He may break my heart one more time but he can hit 18-20 home runs for Washington while batting .270. Speculate. One more target is Yasmani Grandal of the Dodgers. I think he can hit 15 or more home runs for Los Angeles and be a player that is the perfect flier type to pair up with an Evan Gattis. 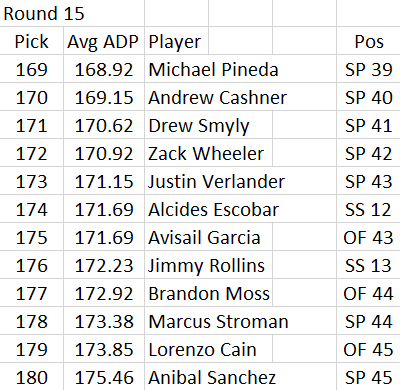 Every draft or auction is different but I think it will pay to wait at catcher. As much as David Ortiz can light up a room and hit home runs, power hitters do not age well. Ortiz has been defying the odds for years. 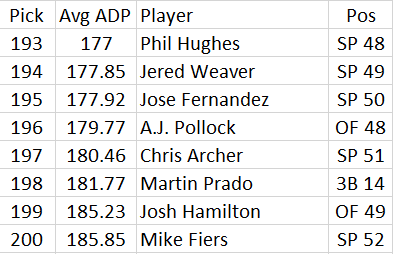 I give him all the credit in the world, but with an ADP in the top 90, I think it is better to let him age on someone else’s team. It’s better to be a year early than a year too late. 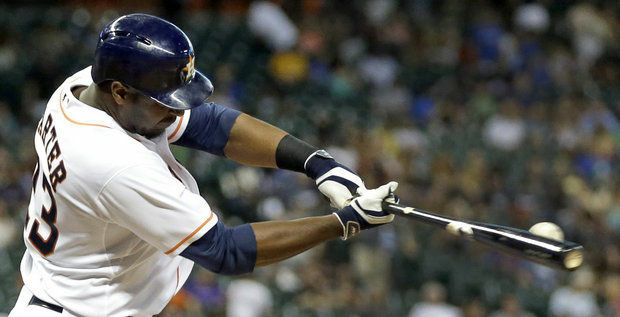 Chris Carter will be a polarizing fantasy player since he is the prototypical three outcome kind of guy: a walk, a home run or a strike out. 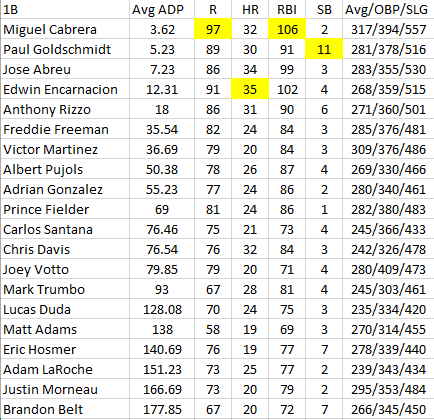 In fact, over his 572 plate appearances in 2014, 48% of his outcomes were one of the above. Carter hit 37 home runs, struck out 182 times and drew 56 walks. 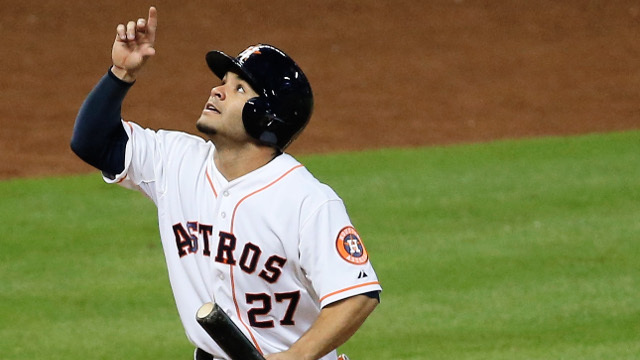 But over the second half he slashed a respectable .252/.338/.521. 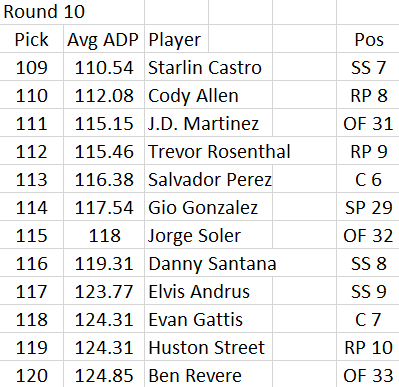 This was fueled by a line drive rate that he cannot maintain for a full season, but the seeds are in place for some growth. 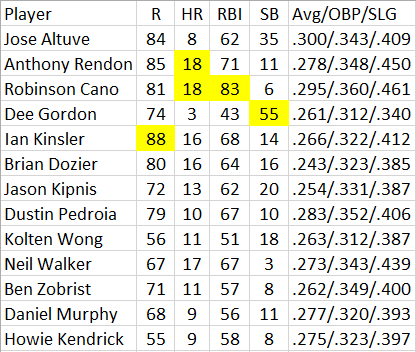 Both projections above account for a batting average in the Dunn range, but there is a chance he can hit .240 which increases his value. 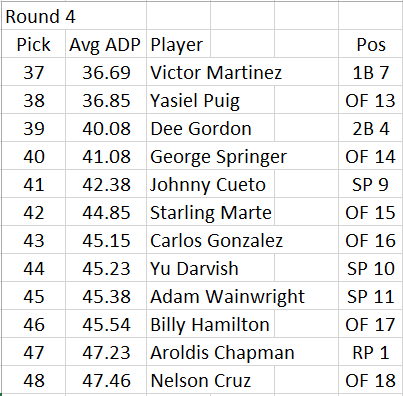 With the potential for 40 home runs at pick 140, I’ll gamble. 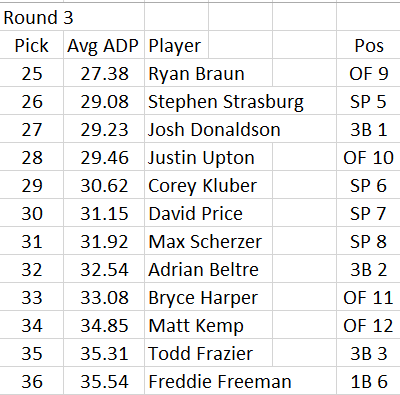 Values are likely to change as all of the sleeper lists and under the radar picks will be coming out, but having a grip on where to take a catcher helps. 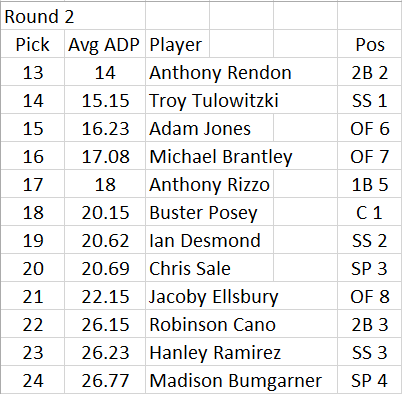 Don’t be that guy who grabs Posey in the second round to preserve your team’s batting average while other teams are collecting power. 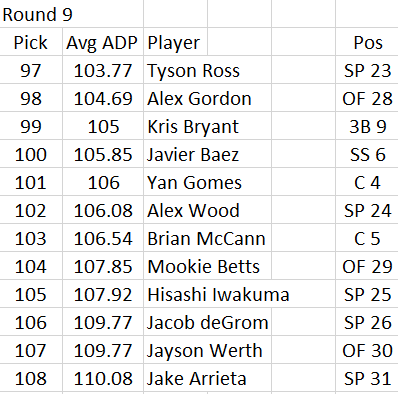 It is a precious commodity in fantasy baseball today.